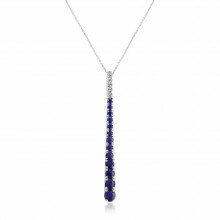 Dramatic long drop Earrings in 18ct White Gold. 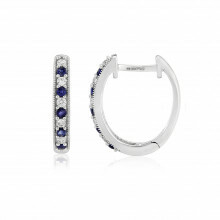 The upper part of the Earring, at the ear, has 6 round brilliant Diamonds with a line of 13 graduating Sapphires below. 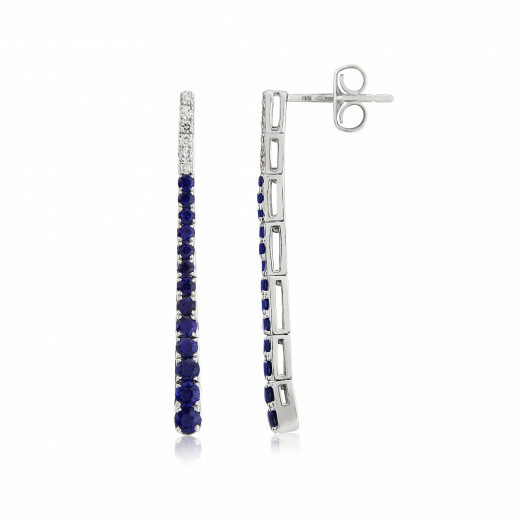 The combination of bright polished White Gold, sparkling Diamonds and deep blue Sapphires is a well-loved mix and these Earrings are a simply stunning way to wear them. 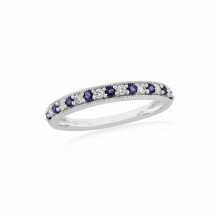 A fabulous addition to a very special jewellery box, especially for those with Sapphire as their September birthstone.